In just over a year, Vevolution has become renowned for its inspiring TED-style events, bringing together stars of the vegan movement to tell their stories and share ideas. All eight Vevolution events in 2017 sold out – with the flagship November festival selling out of tickets over a month in advance of the event. 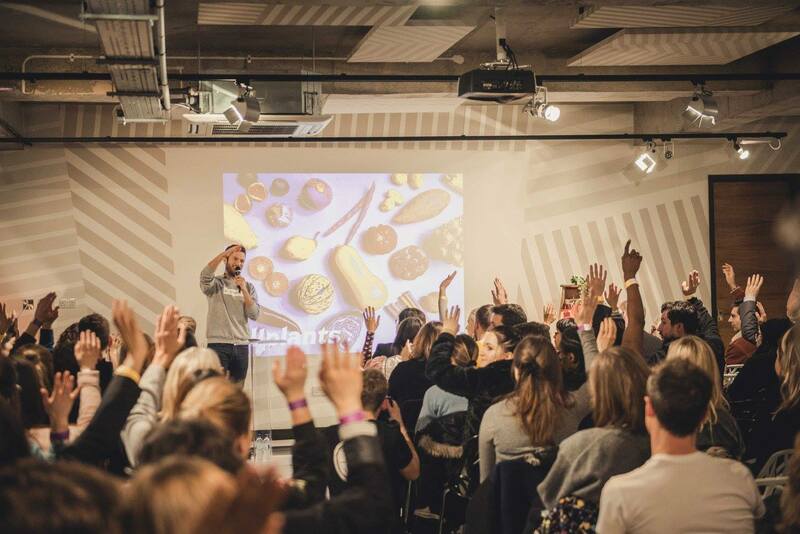 The first event in the Vevolution Topics series will focus on vegan food innovation and take place on February 13 at The Trampery in Shoreditch. Speakers for Vevolution Topics: Food Innovation will include best selling author and food writer Jack Monroe, Facebook recipe video stars So Vegan, artisan vegan cheese maker Ellie Brown (Kinda Co) and global vegan chef/ recipe developer Proof from (Proofs Place). Food vendors on the night will include Jake’s Vegan Steaks and Ima with their beautiful vegan sushi burritos. Attendees will also have a chance to get their hands of some Kinda Co nut cheese and cakes from VIDA Bakery.